The Raiders want their star rookie to play like one for four quarters, not just the first two. 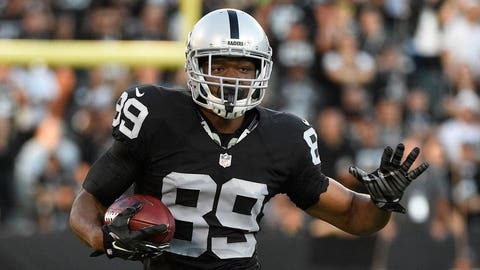 Amari Cooper has posted some guady statistics through his first five weeks as a pro. His team thinks they could be even gaudier if the rookie receiver could step up in the second half of games. Cooper has done the most damage early in games. In the first half of contests, he's averaging 17.3 yards per catch and has caught two touchdowns. That rate drops off precipitously in the second half. Cooper averages 7.3 yards per catch after halftime with no grabs of over 20 yards. Second-half performances like Week 4 (no catches) and Week 5 (two catches, 13 yards) prove the Alabama product still isn't a finished product.